Gigabyte has announced the P55K notebook, which happens to be the company’s latest gaming laptop. The novelty will have tough competition on the market but it bets on the latest NVIDIA Maxwell graphics to attract gamers. 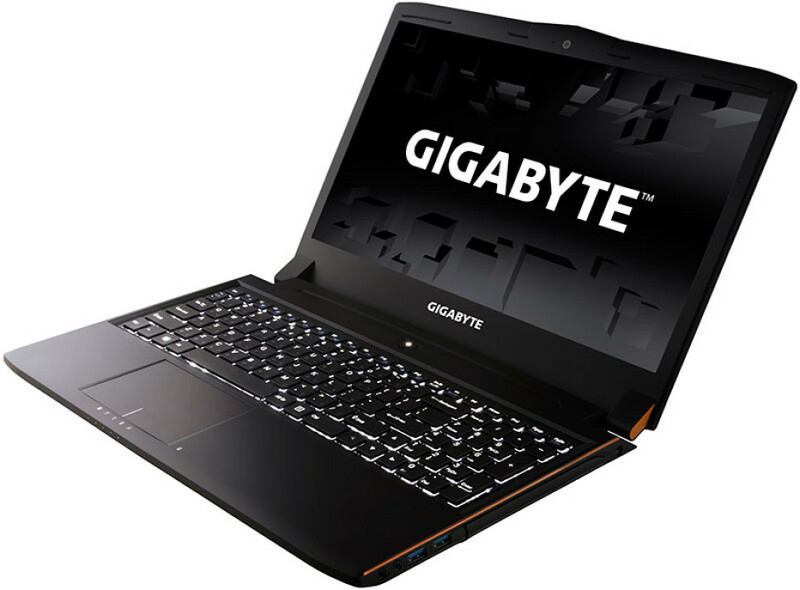 Gigabyte says the P55K is the first notebook in a new generation of gaming notebooks. The P55K sports a 15.6-inch Full HD display, a dedicated GeForce GTX 965M graphics card with 2 GB of GDDR5 memory, an Intel Core i7-4720HQ quad-core Haswell processor, up to 16 GB of DDR3 SDRAM, and storage options that include a 512 GB SSD/2 TB hard drive combo. The rest of the specs include a DVD-RW or Blu-ray optical drive, four USB 3.0 ports, Gigabit Ethernet LAN port, headphone jack, SD card reader, two 2W integrated speakers, HD web camera, HDMI and D-Sub ports, Kensington Lock, a 6400 mAh battery and a full-sized backlit keyboard. This configuration, according to Gigabyte, gets 7000 points in the 3DMark 11 Performance test. The notebook measures 15 x 10.6 x 1.1-1.3 inches (W x D x H). No word on when the P55K will be on the market but when it arrives, it will sell for USD 1249 and up.